Fires can occur during any season. However, the transition from winter to spring brings a greater risk of house fires. As weather conditions dry, extra grass and leaves operate as the fuel that a fire needs in order to spread. Stay safe at home armed with the knowledge of what the most common sources of house fires are. This may seem like an unnecessary tip; however, as spring approaches, it’s common to pile up dead leaves and twigs for disposal at a later date. These piles act as kindling for grass fires, putting your home at risk. Be sure to remove debris away from your home. Moreover, you want to make sure that you keep hot ashes outside and away from your home. Additionally, you want to keep them in a metal container well away from your house and garage. Faulty or deteriorating electrical cords are another top cause of home fires. Cords that become frayed or cracked can send sparks to flammable surfaces and start a fire. Replace old, damaged or frayed appliance cords, and never force a three-pronged plug into a two-slot outlet or extension cord. Plug-ins can quickly overload an electrical circuit. It should be one plug per receptacle. As spring rolls in, get your grill cleaned and serviced. Check all propane tanks and lines for leaks and damage. Always position the grill away from combustible objects such as your home, fences, deck railings and landscaping. Once grilling season has begun, periodically remove grease build-up in catch trays to prevent it from igniting. Keep a garden hose nearby, connected and ready for use in case of a fire. Mandy house fires begin in the kitchen. Make sure to turn off the oven and stove right after cooking. Ensure you follow all microwave instructions as some items cannot be placed inside this appliance. With plenty of entertaining happening during the warmer months, it’s important not to get distracted in the kitchen. When the days are warm and windy, flames can get out of control quickly. In the case that a fire does hit your home, your priority is to get clear of the building. Call the local fire department to prevent fire damage from causing, even more, damage to the home. Following the initials steps, call a fire damage restoration company. Our team at Restoration Experts will come quickly in order to address the damage. 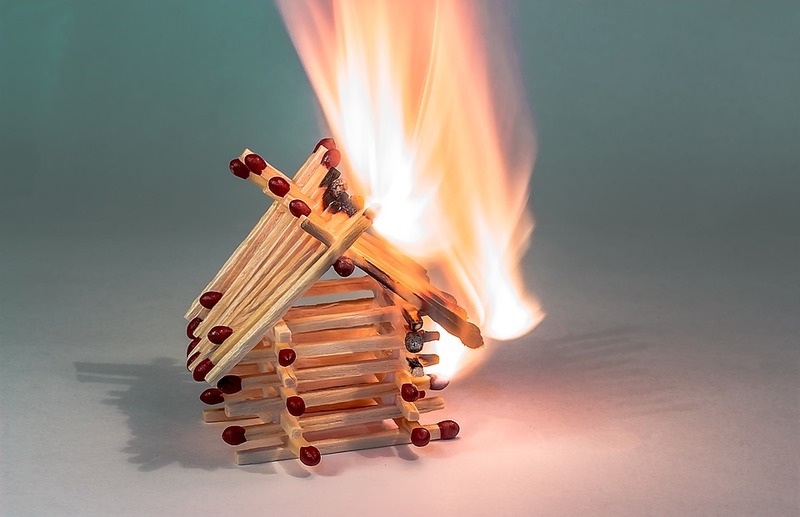 For years, we have specialized in handling fire damage. Contact us today online or call 1-877-881-5183.